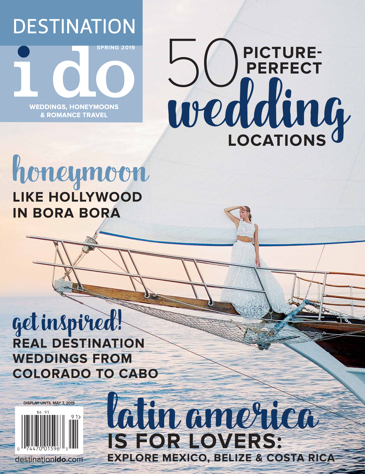 Whether you’re recently engaged, researching honeymoon locations or looking to rekindle the flame of love with a romantic trip, Destination I Do’s Fall 2016 issue might just be an indispensible resource. Our roving editors and contributing writers set foot on four continents to create well-rounded recommendations. We’re also exploring alternative options for the betrothed or long-time lovers. 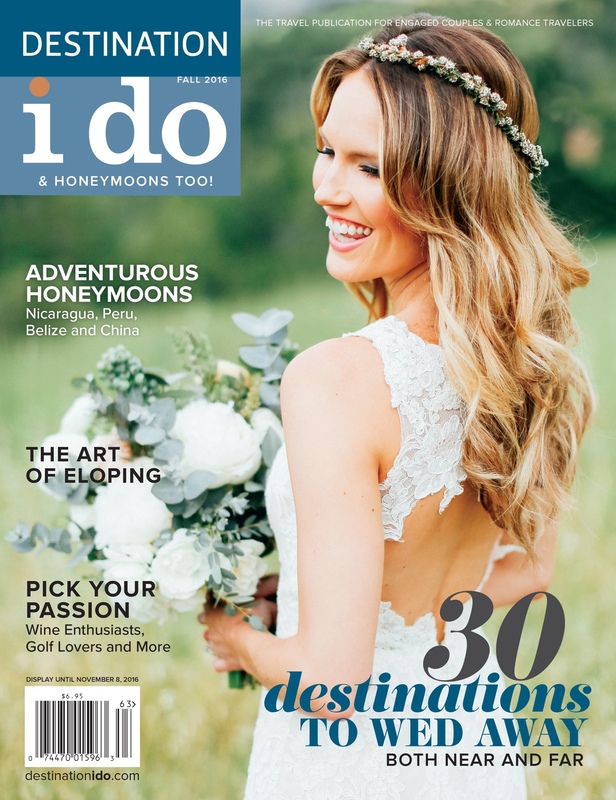 Our Fall 2016 cover features one of our Real-Life Wedding brides. She and her dapper groom said “I do” with a destination wedding on the shores of Big Sur. Our bride is lovely and on-trend with a keyhole-back gown from Stardust Celebrations, minimalist floral crown and blooming bouquet both by Natalie Bowen Designs. Event planning and design by Alison Events Planning + Design. The talented Feather & Twine Photography captured this beautiful photo and sentimental moment.